The Nokia E63 is part of the E series and marketed as a budget business phone. It was made with the intention of competing with BlackBerry and does this in a number of ways such as being cheaper, and having a similar style handset and interface. Not quite a carbon copy but enough of one to steal a percentage of BlackBerry’s customers who are looking to pay less. This will be a review on the Nokia E63 as a cheaper business phone which will aim to highlight the similarities and differences between the E63 and a normal BlackBerry. The handset is obviously trying to look like a Blackberry but better – a mono block form with QWERTY keypad means it certainly looks the part. The placement of the number keys, central on the QWERTY keypad, makes typing in numbers extremely easy to do. The buttons above the QWERTY keypad; directional, power, contacts etc seem to be a bit cramped when looking at them but they do function quite well. The top half of the phone is screen dominant (2.36 inches) with quite decent text and graphics (320px X 240px) given its size. The overall feel of the handset is that it has a good weight to it but it does feel a bit cheap when in your hands compared to Blackberry’s smoother, sleeker and lighter design. But who is to say which is more durable without trying to truly smash either handsets. But from “accidentally” dropping both on the floor this reviewer can say they are equally as durable as one another in that respect. Running on the Series 60 3.1 user interface makes it quite simple to use and has no apparent bugs. It has a wealth of applications available for it but unfortunately no HSDPA or GPS. It is still a 3G phone though luckily. Accessing emails, sending texts and viewing web pages are all very easy to do thanks to the screen, QWERTY keypad and the internet connectivity. The Nokia E63 can support up to 10 mailboxes and in comparison Blackberry offers 10 mailboxes on the free BlackBerry internet service as well as one dedicated BlackBerry one. So not very different from BlackBerry for a much better price. Web browsing on the E63 is through WAP but you are able to download full web browsers if this is not satisfactory. Unfortunately the Nokia E63 fails to impress with a 2 mega pixel camera. If you are looking for a business phone with a good camera this might not be for you. Even after testing the camera to see if it is any better given the screen size I have to say it was not that great. If it’s a still object and you are really close it might come out with an acceptable picture but otherwise it was far too blurry. The E63 supports video call for those looking to do some video conferencing on the go. And if you need to save some money you can even access it for free using wi-fi (if you can find free wi-fi). The Nokia E63 is a great alternative to the more expensive Blackberry. The keypad is a standout feature of it but it falls down with the camera being only a 2 mega pixel. It is a pretty good phone for what it is. 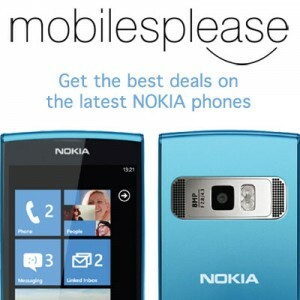 For more of the best deals on mobiles visit Mobilesplease.